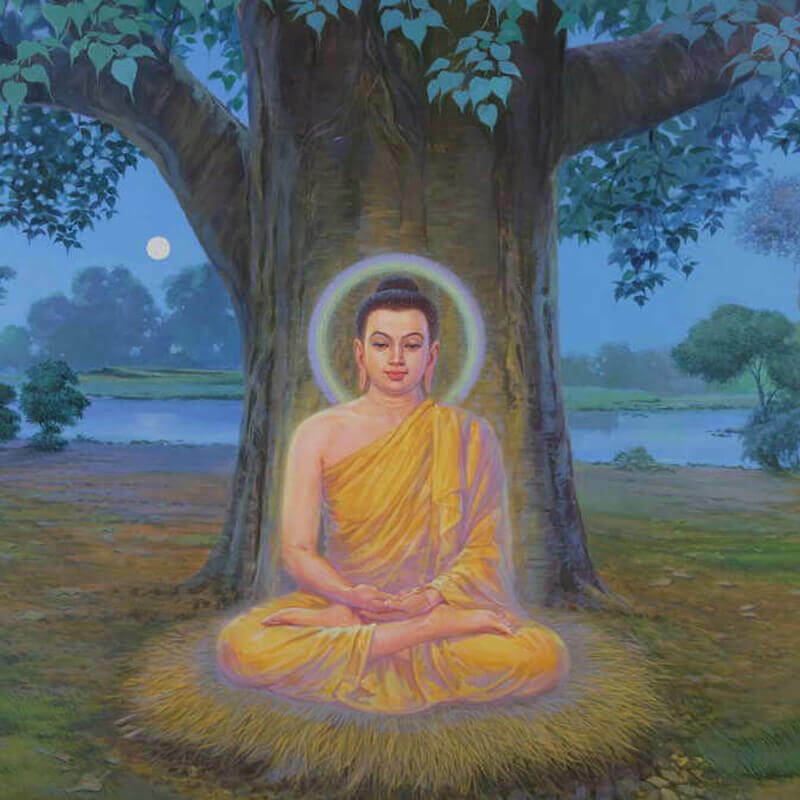 At the time of his Mahāparinibbāna, the Buddha said, "Ānanda, there are four places for people who are confidently treading on the path of Dhamma to visit which may further inspire them in Dhamma." Lumbinī, where Gotama the Buddha was born. Bodhagayā, where the Buddha experienced full enlightenment. 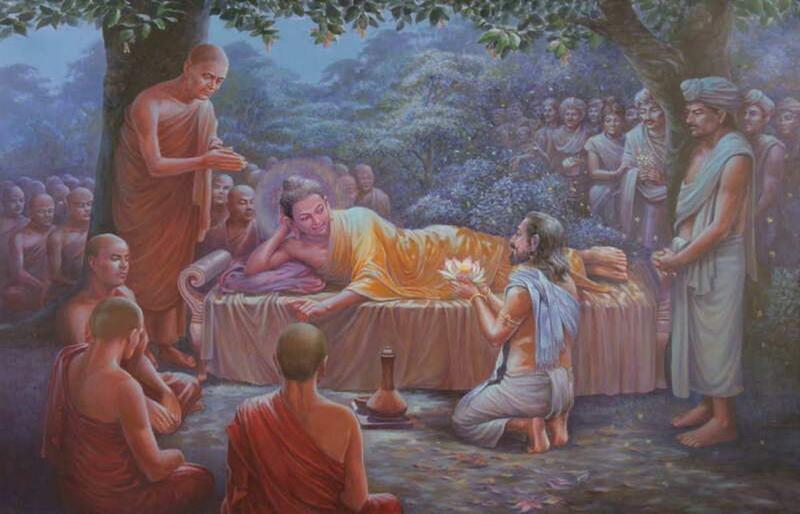 Sāranāth, where the Buddha set in motion the Wheel of Dhamma. Kusinārā (Kuśhīnagar), where the Buddha attained final emancipation. 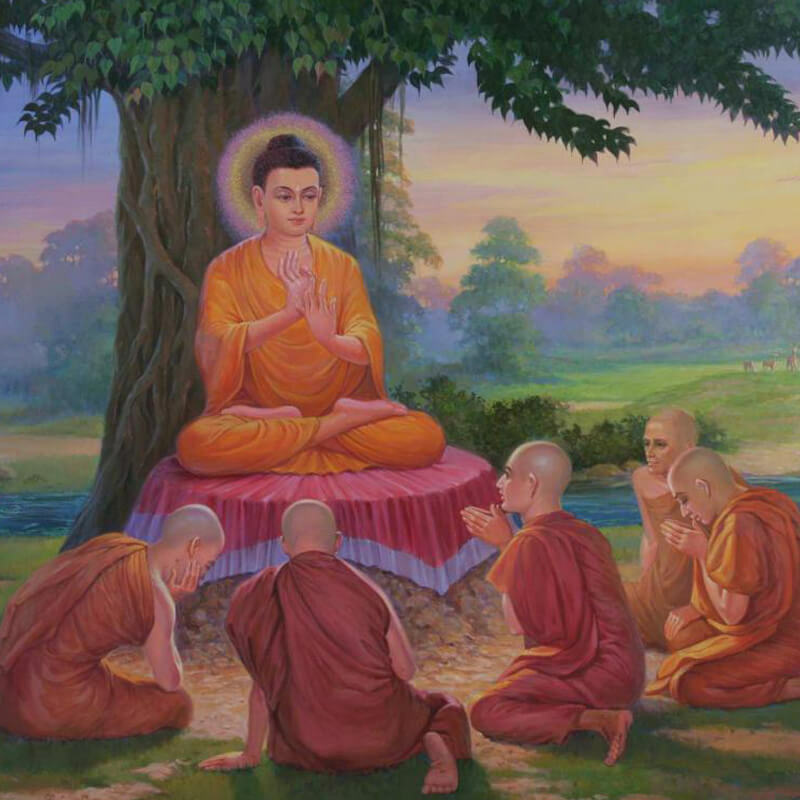 There are a number of other places strongly connected with the life of the Buddha or the spread of his teaching in the few centuries following his Mahāparinibbāna. Below is a brief description of the most important of these places. Lumbinī: This is the sacred place where the Buddha was born. It has been identified with the site of Rummindei in Nepal. Here there is an ancient shrine with an image representing his birth as Prince Siddhattha. At the site a pillar remains which is engraved with an inscription commemorating the Emperor Asoka’s pilgrimage there in the twentieth year after his coronation. There are ruins of a number of monasteries from the time of Asoka. Bodhagayā: This is the place where the Buddha attained enlightenment. It is located six miles to the south of Gayā in Bihar. Shrines and stately monuments abound here. The Mahābodhi Temple is approximately 160 feet high. It enshrines a great gilded statue of the Buddha touching the earth, which symbolizes the supreme event. To the west of the temple stands the Bodhi tree, and a red sandstone slab representing the Vajrāsana on which the Buddha is said to have sat when he reached full enlightenment. Emperor Asoka visited this place and described the visit in one of his rock edicts. Sāranāth: Inscriptions found here refer to the site as "the Monastery of the Turning of the Wheel of the Dhamma." Known as Deer Park during ancient times, this is where the Buddha gave his first discourse to his five former companions, and where all five eventually became fully liberated. The ruins of Sāranāth cover an extensive area. Emperor Asoka erected a series of monuments here, including the Dhamekh Stūpa which stood at a height of about 150 feet, the impressive ruins of which can still be seen today. A place of modern interest is the Mūlagandhakuṭī Vihāra erected by the Mahābodhi Society. Relics discovered at Takkasilā, Nāgārjunakoṇḍā, and Mīrapura-khāsa are enshrined here. The Lion Capital, which originally surmounted an Asokan pillar and today is the symbol of the Indian nation, now occupies a place of honour in the Sāranāth Museum. Sāranāth is located about 10 km from Vārāṇasī in the state of Uttar Pradesh. Kusinārā:(Kushīnagar): Here between twin sāla trees the Buddha lay down and passed into Mahāparinibbāna. There is a large cetiya (stūpa) here which dates from the Gupta period. There are also ruins of many shrines and monasteries from ancient times. In recent times a shrine has been built to house a large recumbent figure of the Buddha depicting his Mahāparinibbāna. A large mound nearby, known as Ramabhar, is the place where a great stūpa stood marking the spot where the Buddha’s remains were cremated and where the relics of the Buddha were divided into eight equal portions. Sāvatthi (Śhrāvasti): This was one of the largest cities in India at the time of the Buddha, and today is the small village of Sahetha-Mahetha, about 150 km northwest of Kushīnagar in the state of Uttar Pradesh. 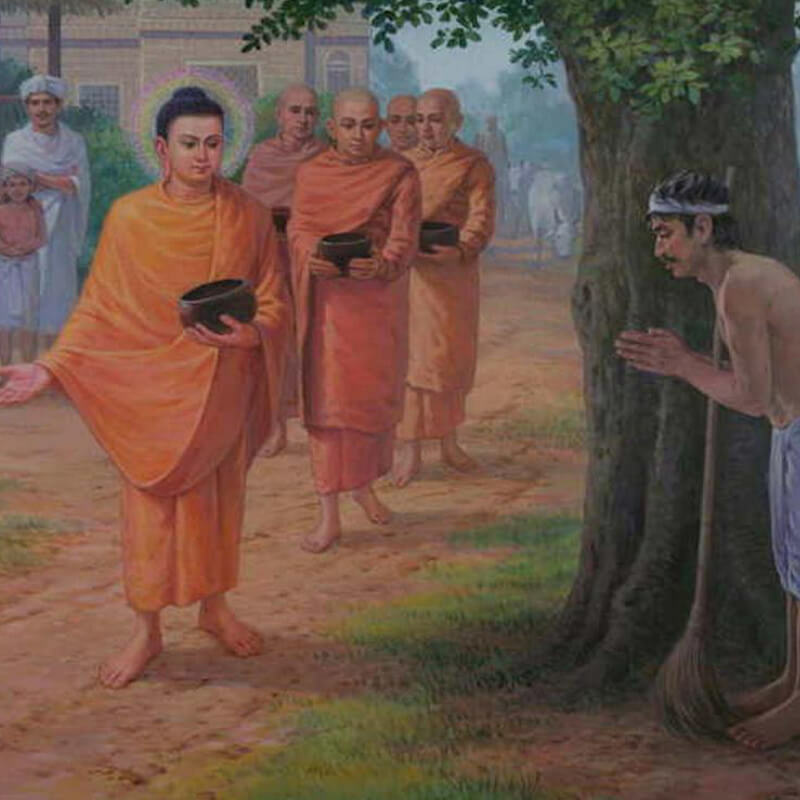 It was here that the merchant Anāthapiṇḍika purchased Prince Jeta’s grove for a fabulous price in gold, and constructed a large Dhamma centre capable of accommodating 10,000 people. 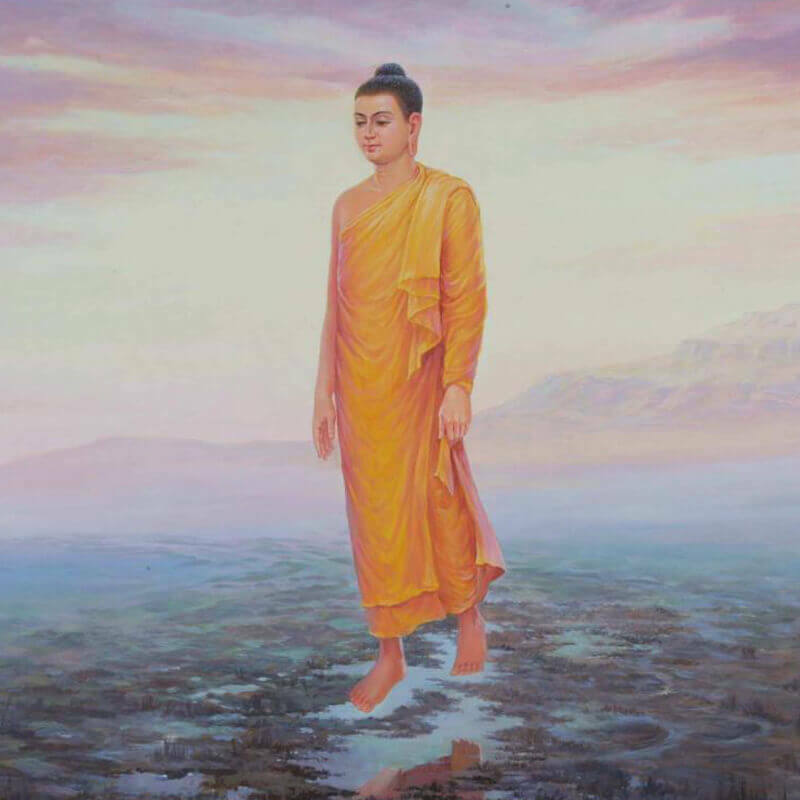 The Buddha spent twenty-five rains retreats here, and today it contains the foundations of numerous shrines, stūpas, and monasteries from ancient times. Rājagaha (Rājagriha): Modern Rājgirī in Bihar was once the capital of the powerful state of Magadha, and is closely associated with the life of the Buddha. The Bamboo Grove donated by King Bimbisāra is here, as well as Vultures Peak (Gijjhakūṭa), which was a place for retreat liked by the Buddha, near the city. This is the place where Devadatta, the Buddha’s wicked cousin, made several attempts on his life. The First Dhamma Council was held here just after the Mahāparinibbāna of the Buddha. Vesāli (Vaiśhāli): The city of Vesāli, today known as Basarh in the Muzaffarpur district of Bihar, was once the capital of the powerful Licchavī clan. It was a stronghold of Dhamma from the early days. It was here that the Buddha announced his approaching Mahāparinibbāna. A little over one hundred years after the Buddha’s passing, the Second Council was held here. Saṅkassa (Saṅkisā): Saṅkassa, today known as Saṅkisā, in the Farukkhabad district of Uttar Pradesh, is the place where Buddha is said to have descended to earth from the Tāvatiṃsa deva world, where he went to teach Abhidhamma to his mother and other devas. There are ruins of many stūpas and monasteries here from ancient times. 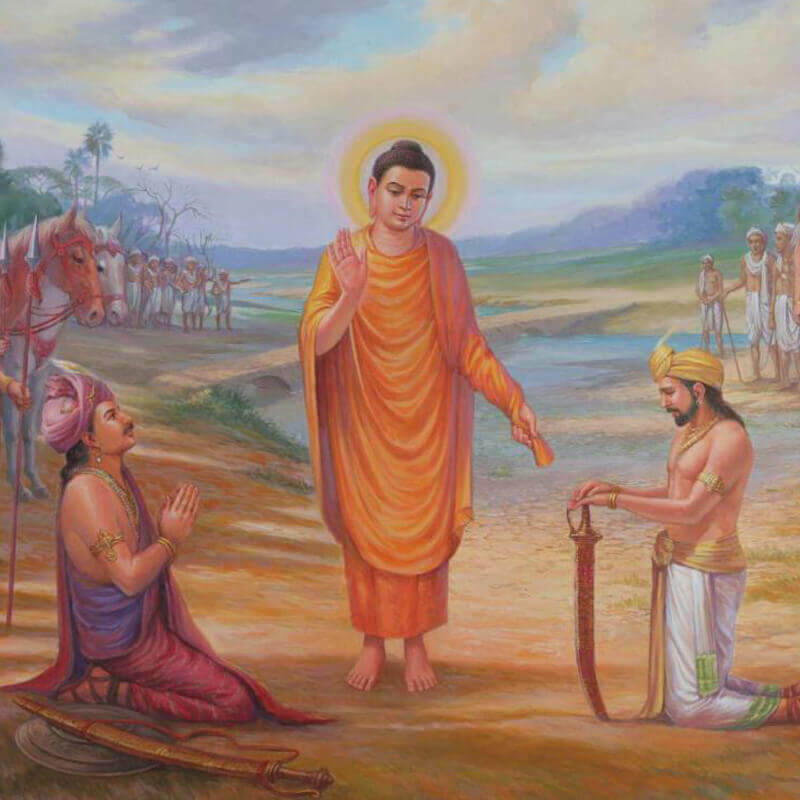 Sāñcī (Sānchī): From the time of Emperor Asoka, Sāñcī, in Madhya Pradesh, became a major centre of Dhamma activity. Today the great stūpa, measuring one hundred feet in diameter and fifty in height, still remains from that time. The four gateways are richly carved with bas-reliefs illustrating the Jātaka tales, and scenes from the Buddha’s life. The relics of Sāriputta and Mahāmoggallāna, the two chief disciples of the Buddha, are enshrined here. Nālandā: The monastic establishments at Nālandā became famous in the centuries following the Buddha’s passing away. The place was visited several times by the Buddha, and the monasteries date from the time of Asoka. Nālandā was a flourishing centre of learning, and for centuries was famous for its learned and versatile teachers. The ruins extend over a large area, consisting of sites of monasteries, stūpas and temples. In the museum nearby are deposited numerous sculptures and other antiquities recovered during excavations.